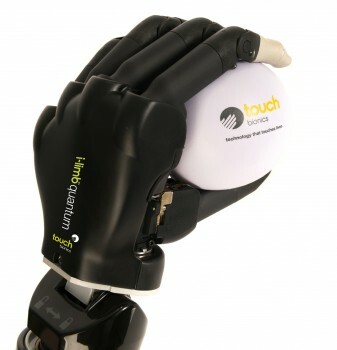 The iLimb Quantum, a myo-electric prosthetic hand, is the only upper limb prosthesis on the market with gesture control, which allows you to change grips with a simple gesture. Using a patented i-mo™ technology, the i-limb™ quantum has 24 pre-programmed grips and 12 additional custom grip patterns that are specific to the user’s individual lifestyle, allowing huge versatility and flexibility. 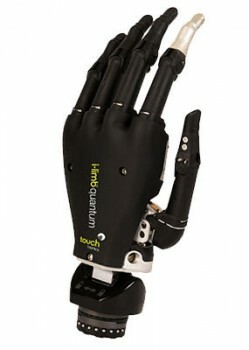 And in addition to that, the i-limb™ quantum’s five independently articulating digits with individual stall out ability gives arm amputees a level of independence and capability that few other prosthetic hand solutions can offer. With 36 total unique grip options, extended battery life, a Speed Boost feature, and a durable, lifelike design, the i-limb™ quantum is a new standard for powerful and adaptable myo-electric prosthetic hands.